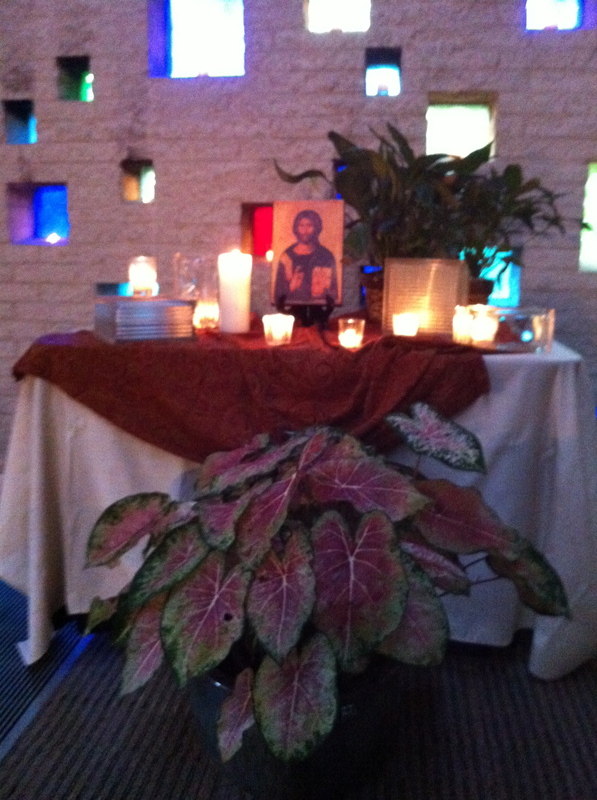 Dear Taize friends – we will be gathering tonight for the monthly prayer at St. Bart’s. We look forward to praying together with those of you who can come! Read this wonderful article written by the Episcopal News Service about the meeting in Pine Ridge, South Dakota. There is no gathering tonight on Memorial day. Keep the pilgrims at the Taize gathering in Pine Ridge in your prayers today as they end their time together and travel home. I’m sure it was a blessed time. On May 24th through 27th, 2013, a new stage in the “pilgrimage of trust on earth” will be held in the “Far West” of the United States. It will take place in Red Shirt, South Dakota, a tiny village at the edge of the Badlands on the Pine Ridge Indian Reservation. The outdoor gathering will include meditative prayer together three times a day, Bible study, workshops, small group sharing, and meals together, provided by the local Lakota people. The event is meant for young people aged 18-35, a voice rarely heard in the church or in society. The current friendship between Taizé and South Dakota began in 2009, when a group of university students from the state, including two young Lakota men, came to Taizé. This was one of the very first times when the community welcomed Native Americans to take part in the international meetings on the hill. The group extended an invitation to the community to return the visit, and a brother visited South Dakota in 2010 and again in 2011, stopping at the Pine Ridge Reservation and getting to know the Two Bulls family at Red Shirt. A larger group, including a number of Lakota and Ojibwa young people, visited Taizé for a week in 2011, and in the summer of 2012, two Lakota youth spent the summer months as volunteers on the hill. All of these deepening contacts eventually led to an invitation to hold a gathering of the pilgrimage of trust on a reservation, where those coming from the outside would be welcomed by Native Americans; they are getting ready to offer hospitality to hundreds of participants. Christian churches of all denominations in the area are working together to prepare this meeting. Why is such a gathering important? Whereas people from outside North America often have a romantic image of the Native American peoples drawn from films and novels, in recent times the media has increasing shown another face of life on Pine Ridge and other reservations. The story told is often one of unremitting poverty, violence, and despair. The young people there have another story to tell, one that avoids both extremes of idealization and hopelessness. In welcoming young adults from other parts of North America and beyond, they want to share their joy as well as their pain, highlighting both the priceless gifts of an age-old way of life and the great difficulties in continuing this way of life and adapting it to contemporary society. For practical information, click here. There has been a community of people holding monthly prayers throughout the city since 1992. If you would like to start a prayer at your church, we can help you. Blessings all, Lisa P.